DAVID LE/Staff photo. 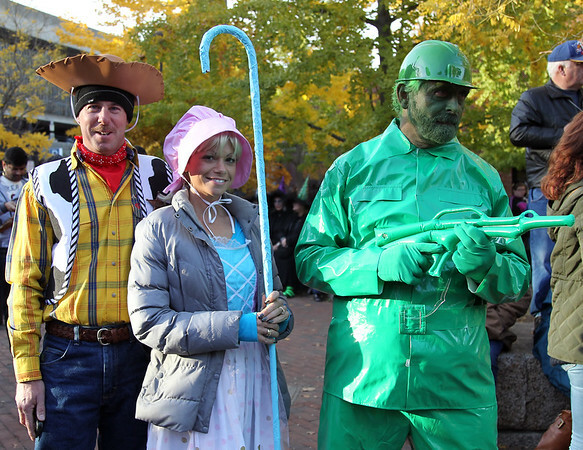 Chris and Heather Cote, left, and Sonny King, of Hollis, ME, dressed up as Toy Story characters and pose for photos near the Peabody Essex Museum. The trio come down every year for Halloween. 10/31/15.